Novi, MI (November 28, 2017) Chameleon Power, the leader in photorealistic visualization technology in 2D, 3D, Virtual Reality and Augmented Reality, will debut the next generation of its comprehensive set of software applications for home builders at the NAHB International Builders’ Show in January, 2018 (Booth #W7271). This suite of tools helps builders to market their homes more effectively, and assists home buyers through the entire design and selection process. Augmented Reality (AR) Lot Selection – a mobile app that allows buyers to view and select model homes on available lots in a development. 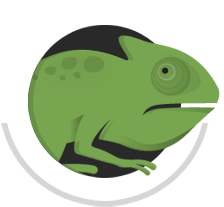 Chameleon Power software tools for builders can be used individually, or as a seamlessly integrated suite. For additional details, contact Chameleon Power at info@chameleonpower.com.